This is a tough story to tell, folks, but it’s one that I feel ready to share. When we see everything through the social media lens, it could appear as if most people around us don’t experience a ton of stress, grief or pain… because we rarely show the worst sides of the struggles we face on the daily. Sure, we may share the occasional post about feeling ill, about not being in tip-top shape, but most of us veer away from sharing the most intimate, scariest moments of our lives. Today’s ‘Things We Love’ is about to get real, but I hope that you’ll be able to relate to this story. I hope it shows you that it’s okay to be honest, to be real and to inspire others to do the same. One day back in October 2018, my daughter Sadie woke up with a pain in her knee. Sounds harmless, right? Well, 72 hours later (70 of those hours were spent waiting for answers at the children’s hospital)—Sadie was diagnosed with Lyme Disease. To say we were scared, anxious and overwhelmed is a gross understatement. However, we were also relieved to hear that it wasn’t any of the other horrifying possibilities that could have left her case incurable. Upon receiving the news, we walked ourselves through the path we would need to take from here. We started by reaching out for support, for help to implement a treatment plan for our daughter over the next 2-3 months. You’d think that the story would continue to track Sadie’s progress, but in fact, it takes another scary twist. 1 month after her treatment started, I received the shocking news that I also had Lyme Disease. At the time, the symptoms I was experiencing seemed quite normal, legit things that a parent faces in their day to day. Aches and pains all over my body? Check. Hot and cold, flu like symptoms? Check. They seemed more than on par for my parenting journey thus far. I mean, let’s be real… what you see above is essentially ‘by the book’ symptom checklist for sleep deprivation. Thankfully, as a result of Sadie being diagnosed, we had acquired a ton of new knowledge about Lyme Disease from a western medicine perspective, as well as a supportive herbal protocol. 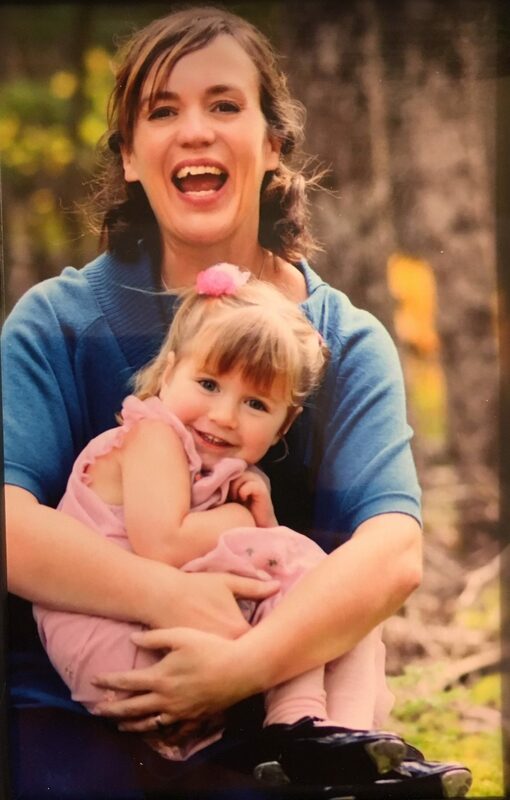 So, I joined my daughter Sadie on her journey to battle Lyme Disease and the doxycycline that was racing through our bodies. The struggle was long, painful and intense for both of us, but we got through it together. We are also so grateful for the support of good friends, herbalists, naturopaths and osteopaths. Fast forward to today: treatments concluded, Lyme Disease cured (for now, anyway), and Sadie and I have moved onto treating our guts and building up our immune systems to where they once were. 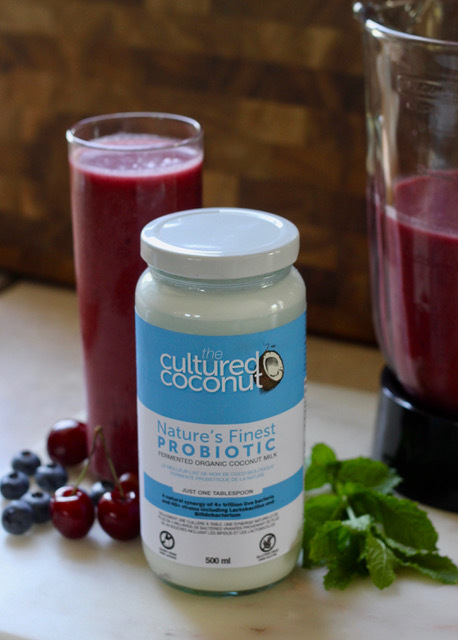 One of the key strategies that we are using to improve our gut health is a daily tablespoon of The Cultured Coconut Fermented Organic Coconut Milk. I have taken probiotics before, but it doesn’t even touch the improvements I have experienced/felt after using this product. It’s probably the 4+ trillion (yep, I said ‘trillion’) live bacteria and 40+ strains including Lactobacillus and Bifidobacterium that are present in just one single tablespoon. That one tablespoon comes in at less than a dollar, with each bottle lasting an entire month. 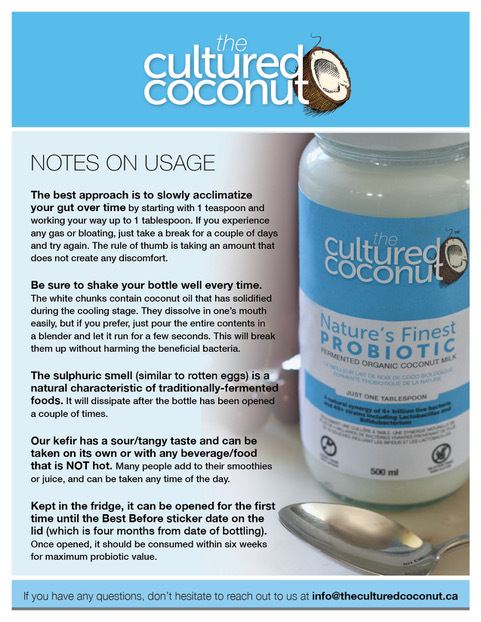 We recommend checking out The Cultured Coconut because it is a quality, trustworthy product that is dairy-free, gluten-free and is made in Nova Scotia—right in our own backyard. Check out their notes on usage and a helpful infographic to learn more about the link between fermented foods and gut health. If you want to try it out for yourself, consult this detailed list of retail partners across Canada where you can buy The Cultured Coconut.